Baking and Cooking, A Tale of Two Loves: A Slice of Colorado! We just got back from a long weekend in Colorado to see my brother and to celebrate my Husband, Scott's B-day. 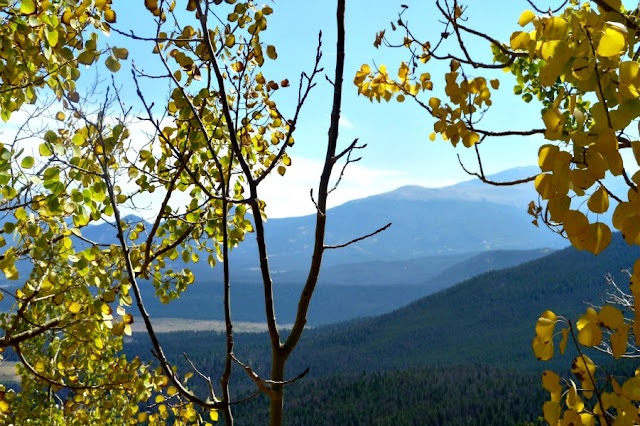 Little did we know, when we scheduled our trip, that it was the same time that the Aspens are in color. They are gorgeous, with the golden leaves painting the green evergreens on the mountainsides. 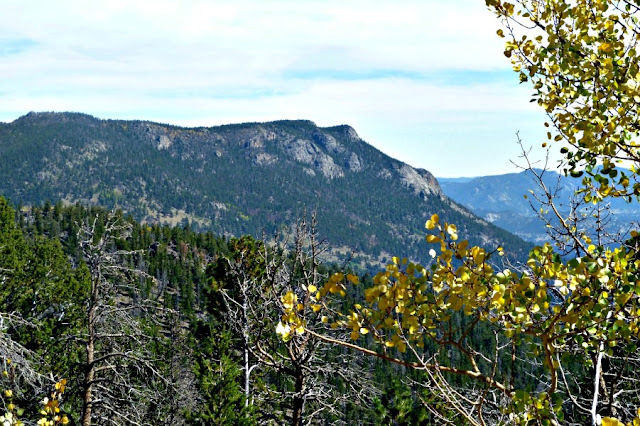 These are views from Rocky Mountain National Park, Estes Park, CO, about one hour from my brother's house. It was very crowded last Saturday, almost bumper to bumper, because the weather was perfect. For 'Flatlanders", like us in Illinois, Scott and I are always in awe of the mountains. This view is from my brother's kitchen window! Amazing! his house is 8, 000 ft. up in the mountains. He is a mile from the main road, and you should see his driveway, all switchbacks, scary!! Here are the "Race Car Drivers, my brother Scott on the left, and my Husband, Scott, on the right. Confusing, you bet! We went to Colorado to see my brother and his family, but also to celebrate my husband's birthday, September 17th, and cross of one othe items on his "bucket list." My husband used to race Triumph sport cars in his early 20's, He has always wanted to drive on a racetrack again. 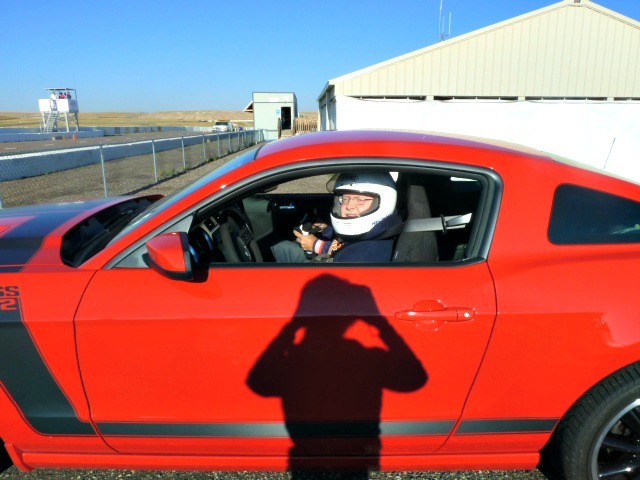 So when my Brother got a 2013 Mustang Boss 302 , he invited us out see his new car, and go to the High Plains Raceway near Byer, CO. Needless to say, my husband was living his dream as road course race driver again. Happy Birthday Sweetie!!! As for the food, we mostly ate out, Mexican one night and Chicago Pizza, the other night. On Sunday, Scott made his Chicken Creole and I made Apple Walnut Cake with Fresh Apples. I will be posting a new recipe soon. 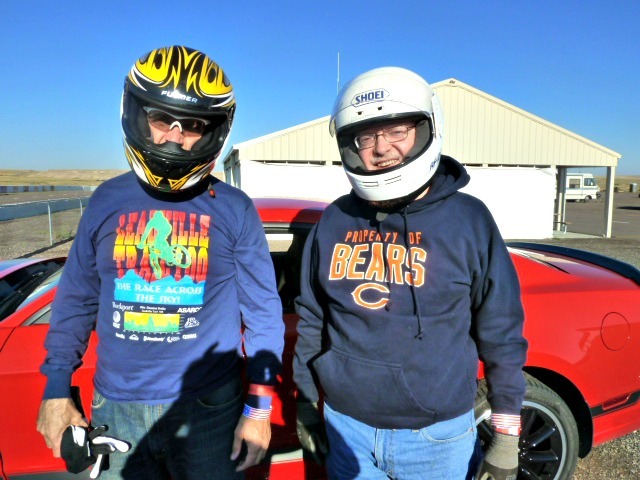 We had a wonderful time in Colorado, and Scott got a great b-day present including a video of his experiences at the track. There is gorgeous scenery everywhere, and that made for a wonderful trio, as well as spending time with my family. Thank you, Christine! Scott took some of the pictures! Great photos! 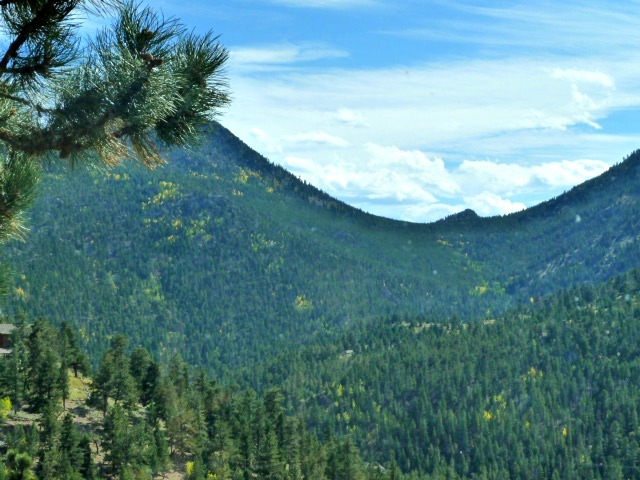 this N Il, Flatlander loves, loves Colorado and I wanted to retire there. It's gorgeous!!! I love your hubbies sweat shirt too!!! Go Bears!!! it is beautiful there, I will admit. There are gorgeous scenes everywhere. We actually watched the Bears game at a Bears Sports Bar in Boulder. What fun photo's looks like a blast! We had a great time, and Scott got to live his dream:) Priceless! Thank you Debbie It's nice to meet you. I hope to see you back again soon. Thank you! 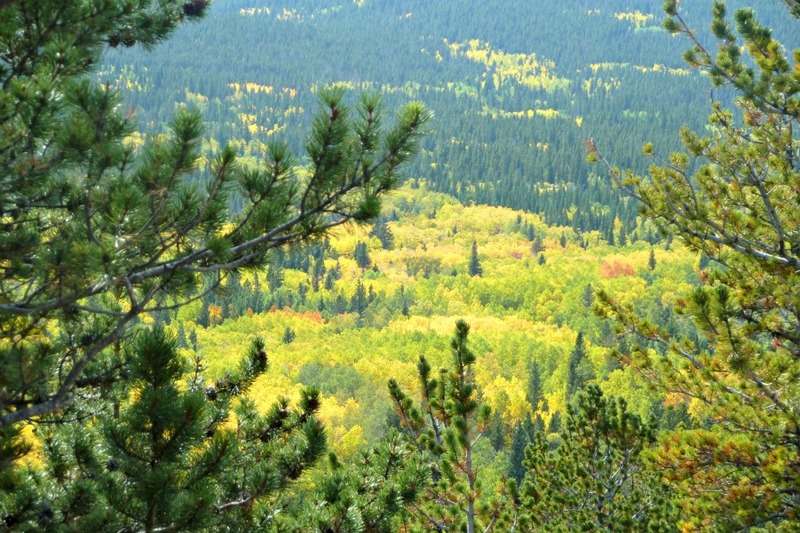 There are so many photo ops, especially with the aspens in color! What a great trip Becky. I love the color, we don't have color like that here in CA. The picture of the two Scotts in their helmets are priceless. I hope the ride was everything he hoped. Glad you are back. We had such a wonderful time. Scott was over the moon excited about ride. He was living his dream. It was so cool.